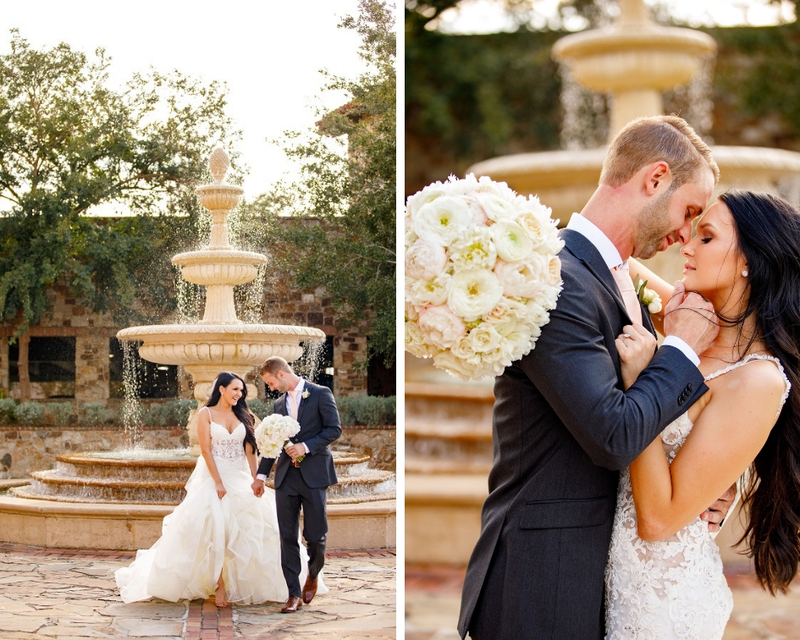 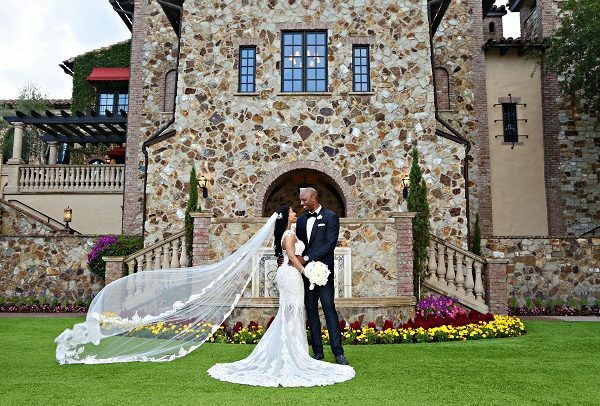 On a perfect September day, with the gorgeous Bella Collina Country Club as their backdrop, two became one. 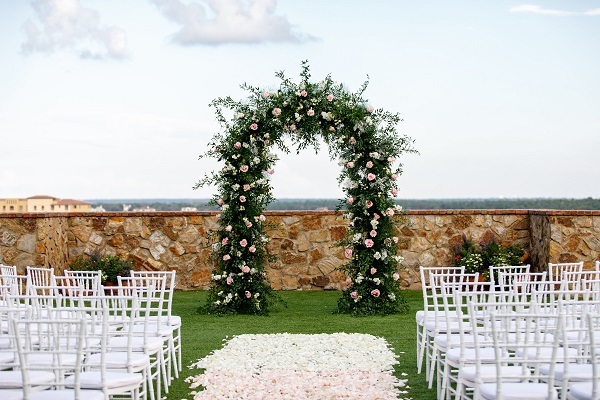 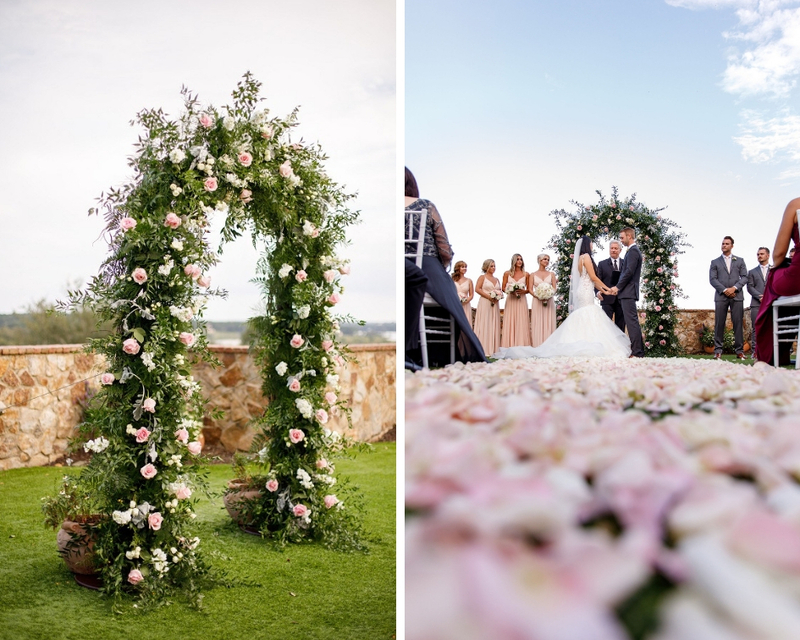 Standing in front of a breathtaking custom made floral arch, Alyssa and Tim said their vows in front of their friends and family and began their life-long journey together. 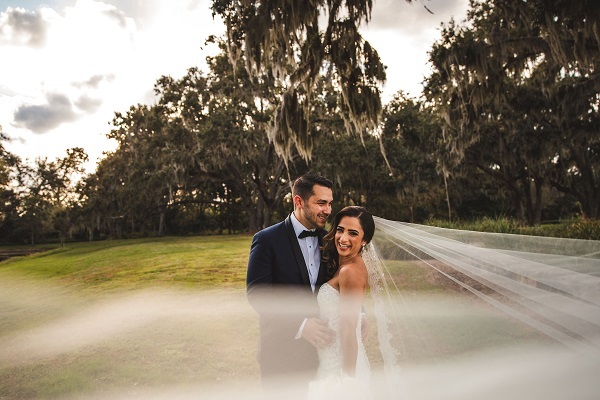 It was a day taken right from a fairy-tale, and I got to play the part of the Fairy Godmother. 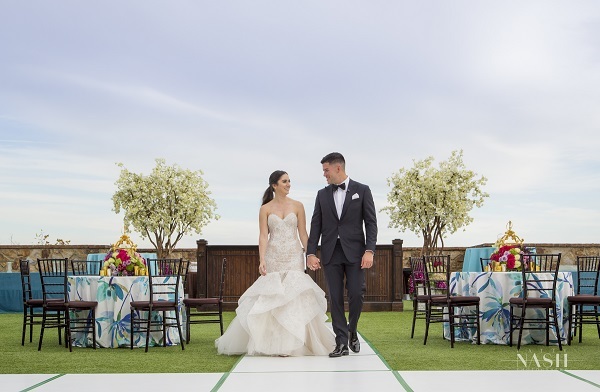 One thing that I love about planning and designing weddings are the dramatic elements that my brides and grooms request to make their wedding day memorable. 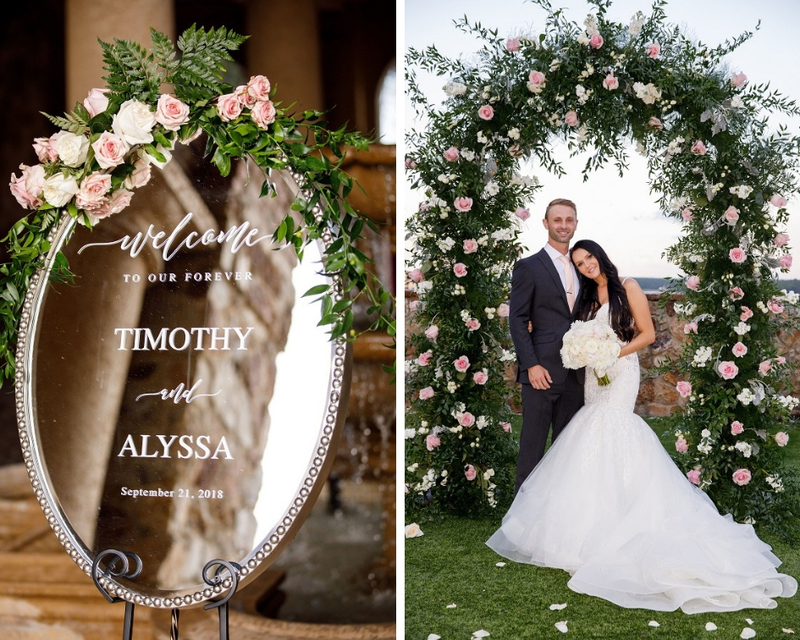 After sitting down with Alyssa and Tim to discuss their September wedding, I was so excited to create the stunning floral arch that would be the centerpiece to their fall ceremony. 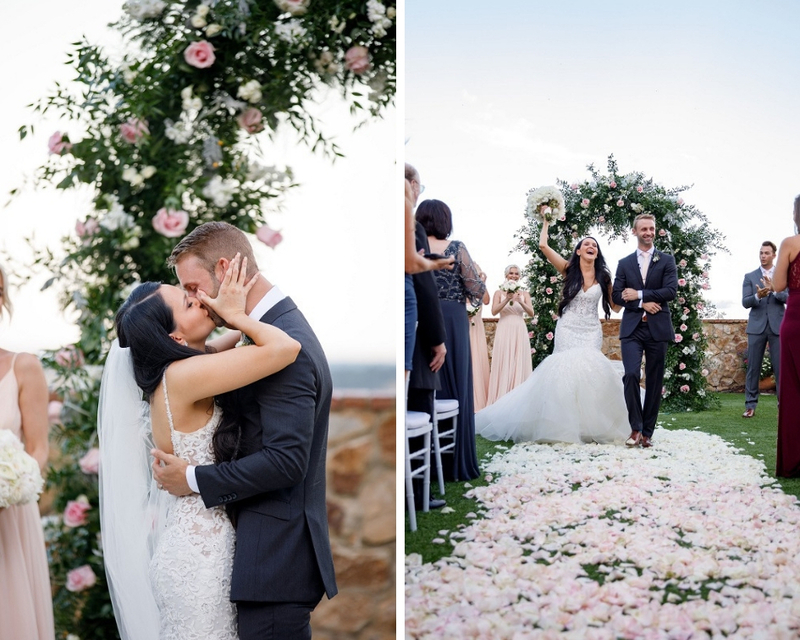 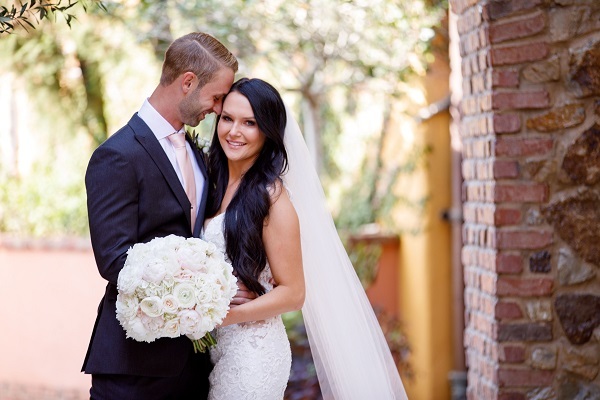 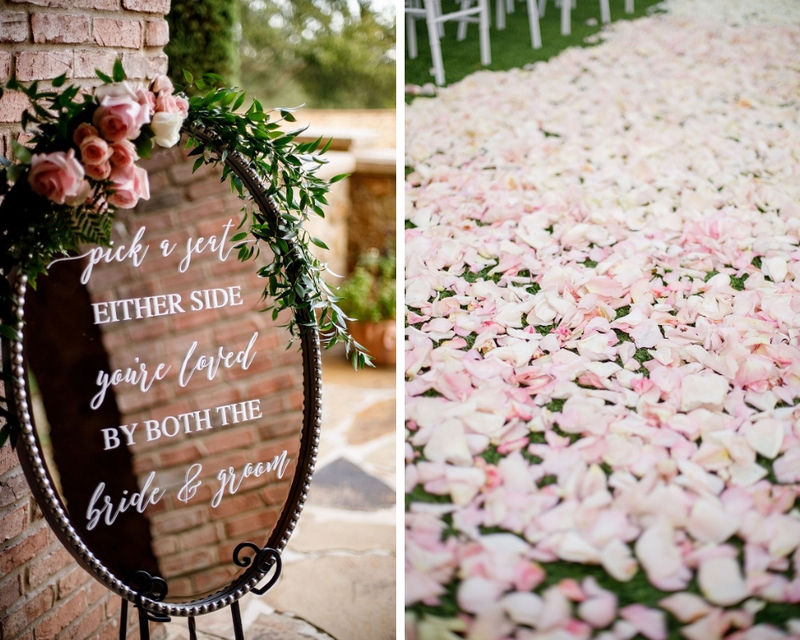 Filled with dreamy blush and ivory tone floral that was surrounded by rich Italian Ruscus Greenery mixed with Seeded and Silver Dollar Eucalyptus, it perfectly flowed down and framed my happy couple. 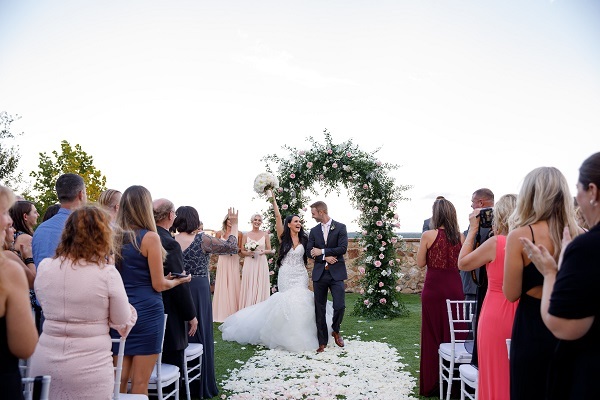 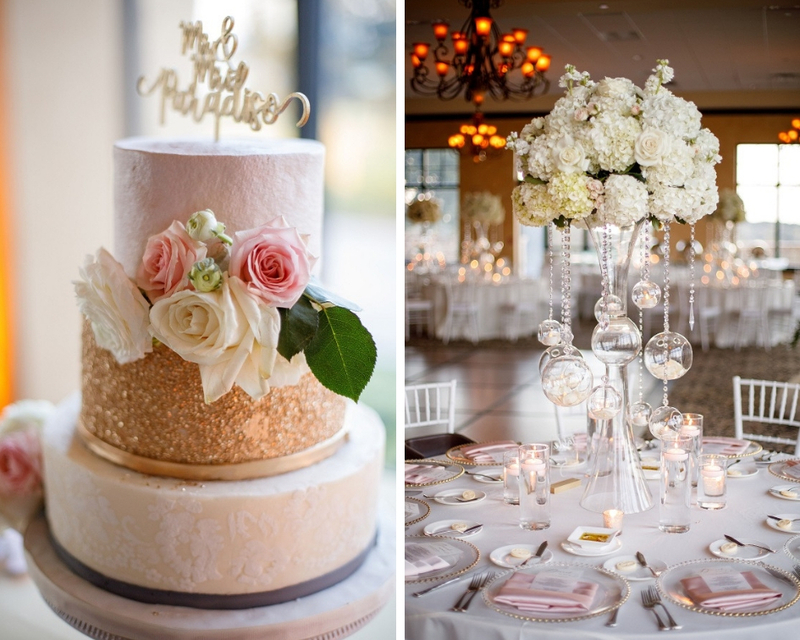 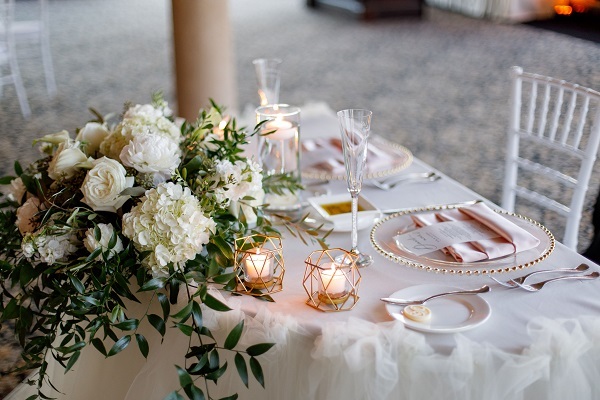 Following the ceremony, the newlyweds and their guests celebrated in the ballroom with the continued theme of the creamy, soft ivory and blush floral and sweet, serene greenery. 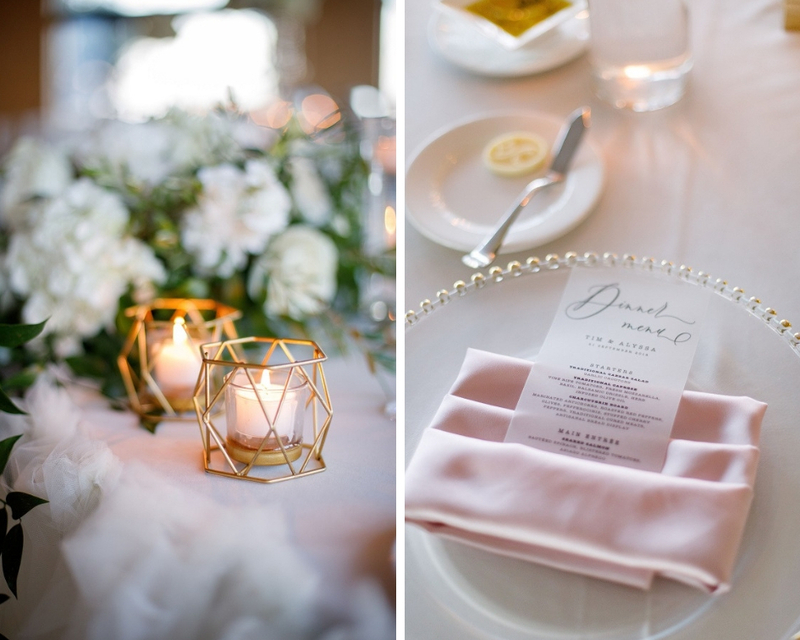 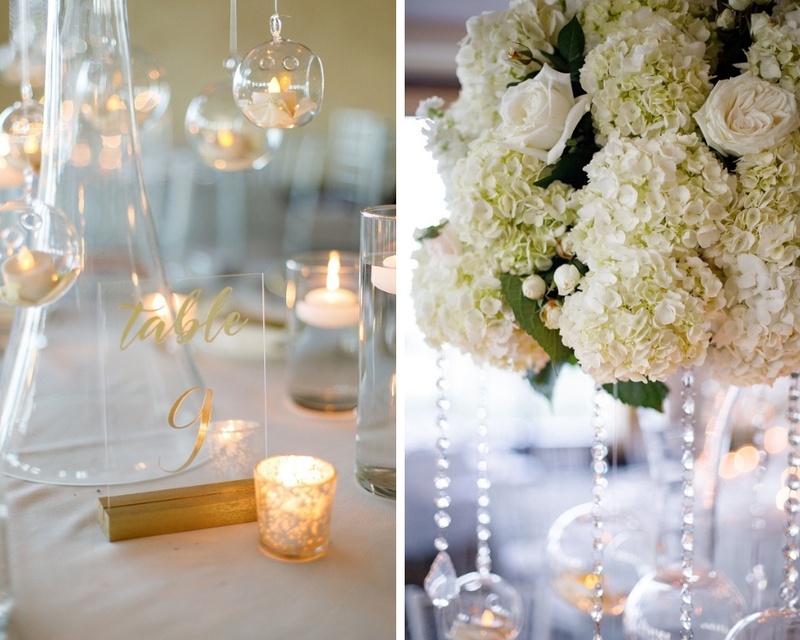 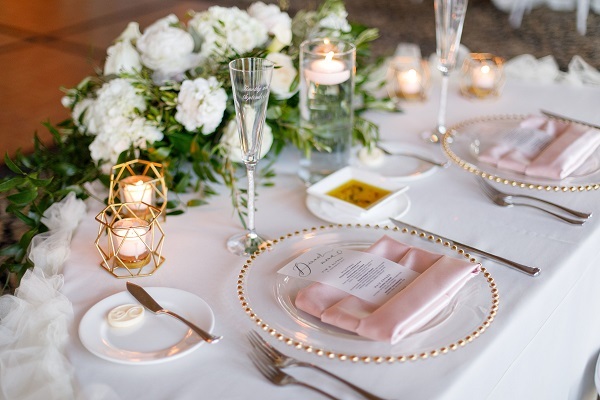 Touches of sparkly gold gave the evening a fun and whimsical feel. 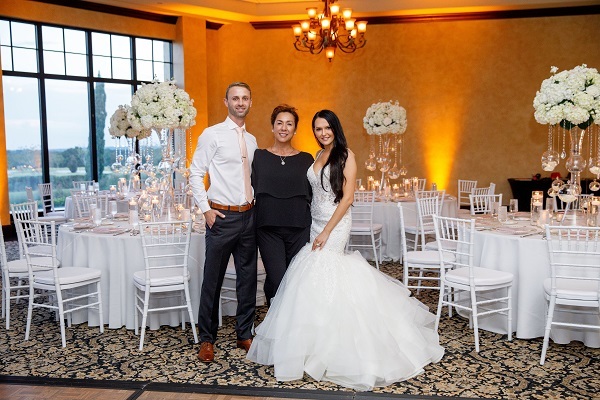 The talented Victoria Angela Photography captured the magical celebration, while the entertaining and always fun DJ Gary White kept the party going until the sparkler end-off.